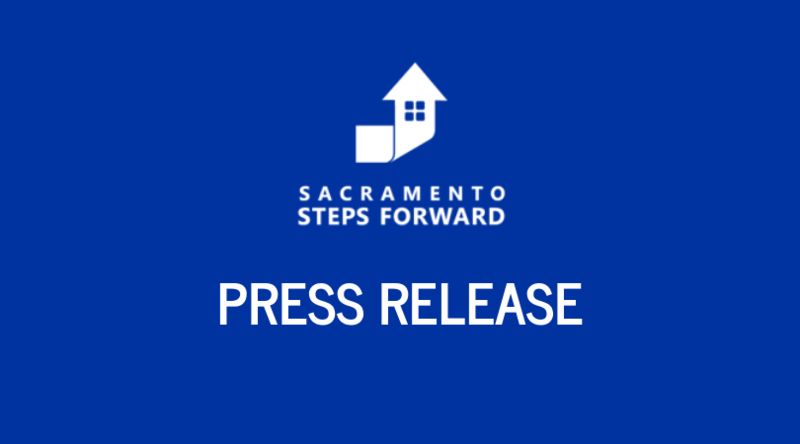 SACRAMENTO, Calif. (Feb. 8, 2019) The U.S. Department of Housing and Urban Development (HUD) has renewed more than $20 million in funding to nine homeless service providers in Sacramento’s Continuum of Care (CoC) and awarded nearly $900,000 to two new programs. The awards, announced Jan. 26 and Feb. 6, represent a 3.64% increase over last year’s funding. The Sacramento Continuum of Care submits to HUD a competitive grant application each year and competes for funding with communities across the country. Since Sacramento Steps Forward took over as the Continuum of Care’s administrator in 2011, funding has increased by 38% or more than $5.7 million. The majority of the funded programs provide Permanent Supportive Housing for people who are chronically homeless and are most likely to die on the street the soonest. Renewal funding retains housing for these individuals, most of whom were housed in previous years. New housing opportunities are created when these units turn-over or from new programs, like those created by Sacramento Self-Help Housing and Hope Cooperative (formerly TLCS, Inc.) this year. Other funded programs include a Rapid ReHousing program for adults and Transitional Housing/Rapid ReHousing hybrid program for Transitional Age Youth, defined as people who are 18-24 years old. The Sacramento Continuum of Care is governed by a 25 member board made up of local community stakeholders including people of lived experience, homeless service providers, faith community, advocates, business leaders, law enforcement, local government, healthcare leaders, and more. The full list of funded programs can be found here. The Sacramento Continuum of Care program funding starts on page 17 under CA-503 Sacramento City and County CoC.